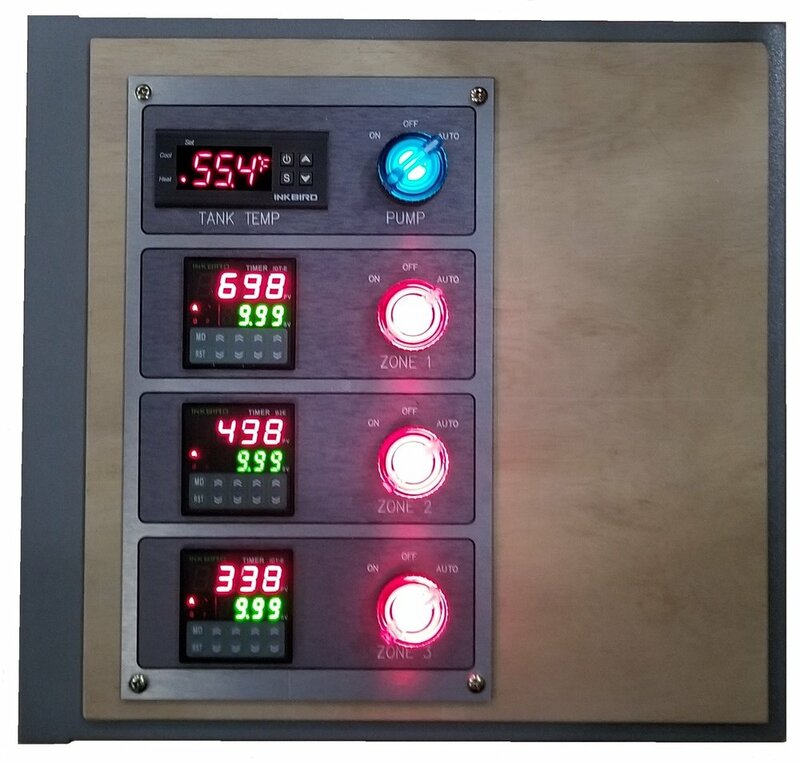 We have created our Hydronic Heating System Controller based on our experience with the GeoT Hydronic Controllers. 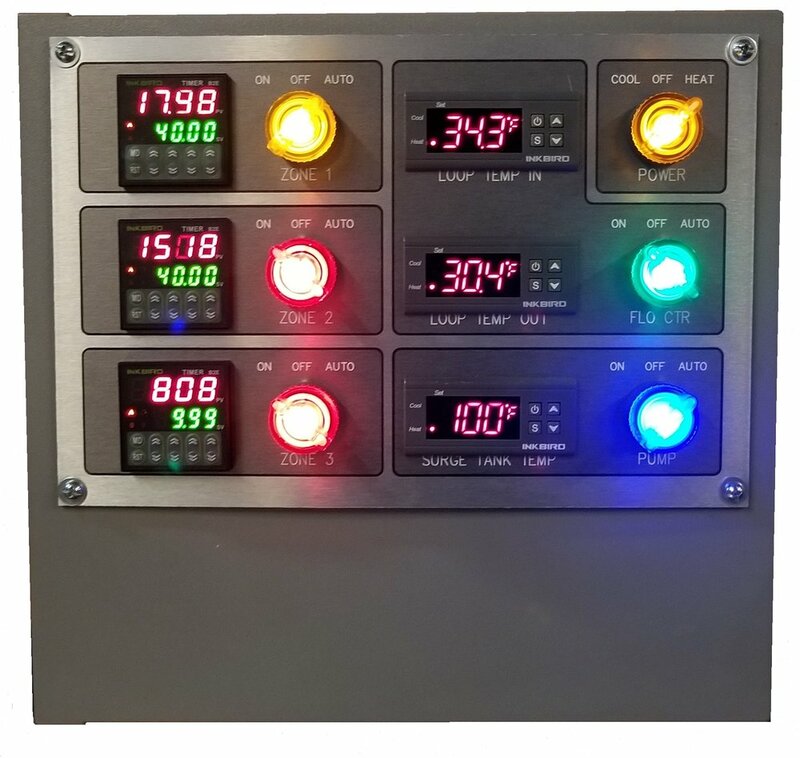 Coupled with Circulating Pumps, Thermostats, and Temperature Sensors our Controllers maintain operator specified Tank Temperature as well as “pulse” heat to the various zones in the Building’s Hydronic Heating System. 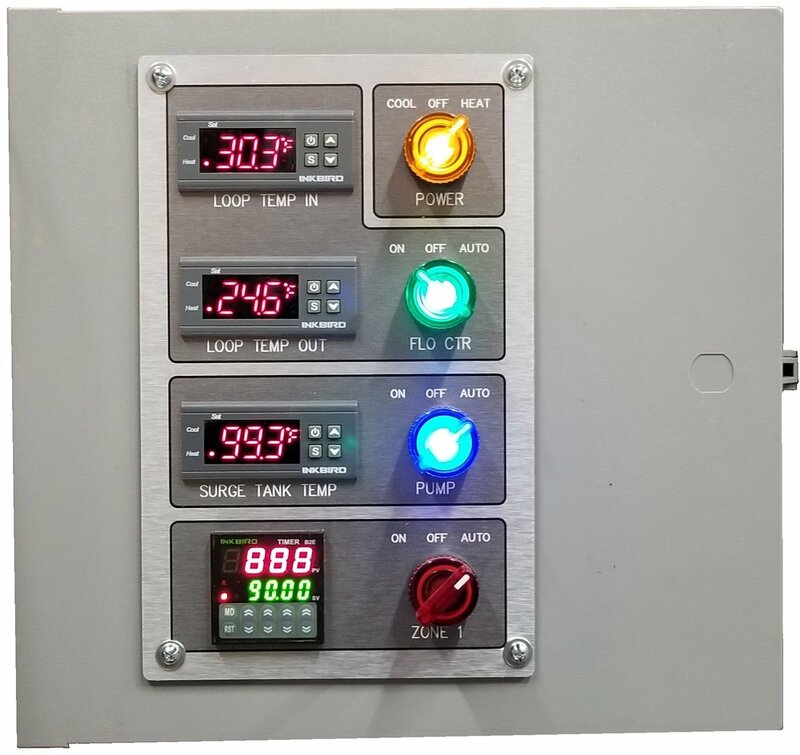 Operator specified Set Temperature and "Delta T"
Manual On for Circulators is Standard.